For IT organizations, email is a paradox. On the one hand, few organizations would consider email to be among their most strategic applications. But on the other hand, email may be their organization’s most widely used application. In particular, email has become an essential component in organizations’ efforts to drive new revenue opportunities and to engage customers and users in a meaningful way. 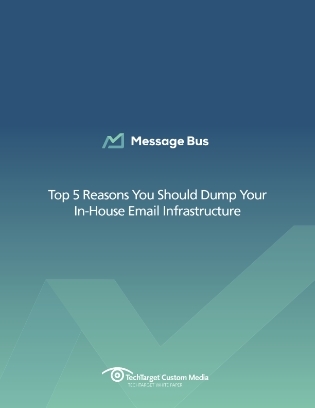 Access this expert e-guide to find 5 reasons why you should dump your in-house email infrastructure.